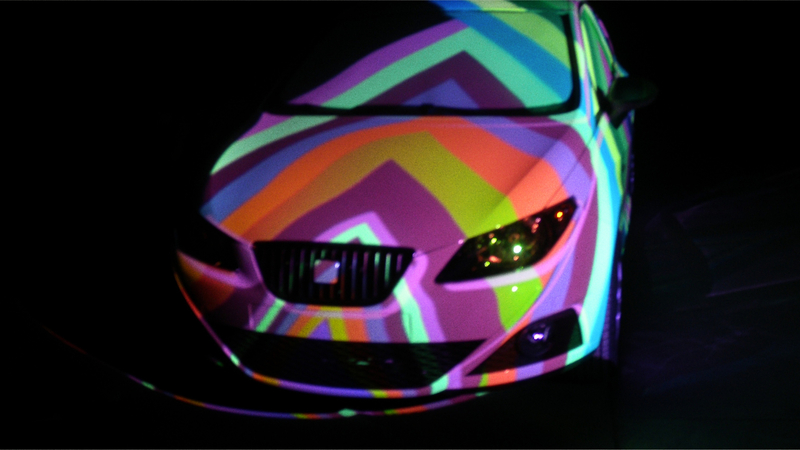 Back in 2010, car manufacturer SEAT wanted the new Seat Ibiza Fresc campaign to be powerful and relevant, because of the tightening competition. The ad starts with a simple idea: communicate a good price and great equipment. But it is the way it is communicated that makes the difference: the “3D mapping”. One of the latest audiovisual trend that literally converts the Ibiza Fresc into a three-dimensional screen. In other words, what you see is not a result of a great CGI work, actually it is the result of filming a real projection of the features over the Ibiza Fresc, in sync with specifically made music for the spot. The project had several publications on international design magazines such as IdN. A challenging project for an innovative commercial.